Fine Arts Faculty LJ Roberts was awarded a two-year residency at the Elizabeth Foundation for the Arts in the Garment District of Manhattan as a new member of the EFA Studio Program. On May 1st, LJ will also embark on the Work-In-Progress residency at The Textile Arts Center, also in Manhattan, until June 1st, 2018. LJ’s current work addresses the promises and problematics of queer and alternative kinship structures, nomadism, and landlessness through material explorations. 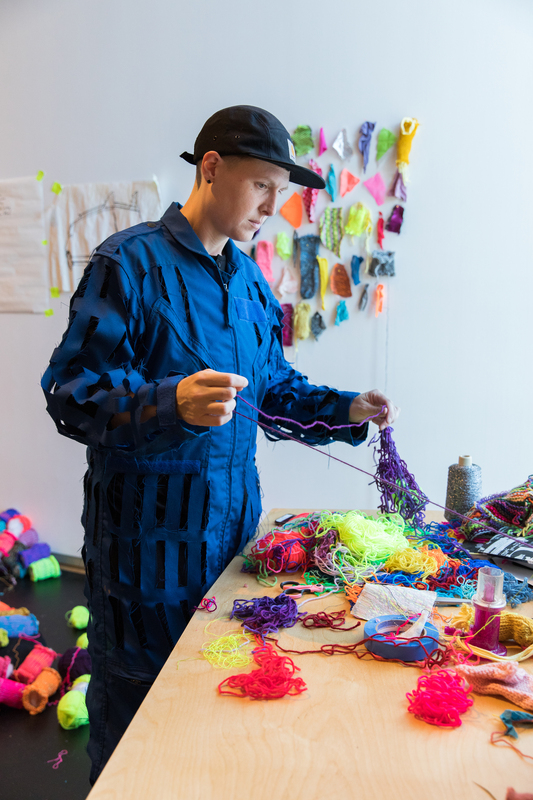 They are constructing a body of work of imagined post-apocalyptic vehicles and vessels using varied fiber methods. Find out more about LJ here.